I created this series for a medical device company in Dallas called Acuity Surgical. 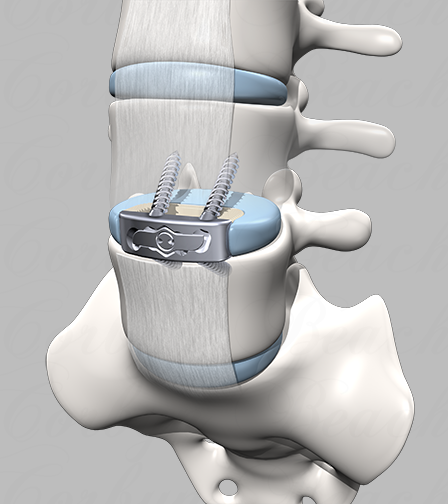 It illustrates the surgical technique for the A-Link Z spinal fusion device. 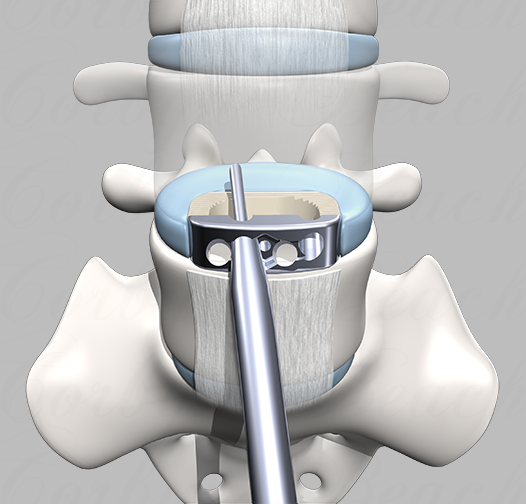 This is included on the front cover of the A-Link Z surgical technique guide. 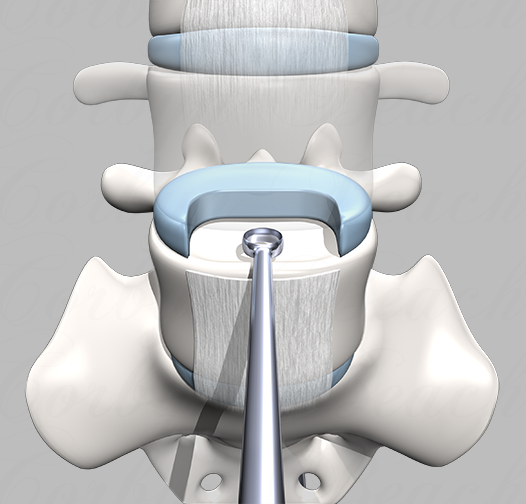 This illustrates the patient position (supine). A ring curette is used to remove vertebral disc material. 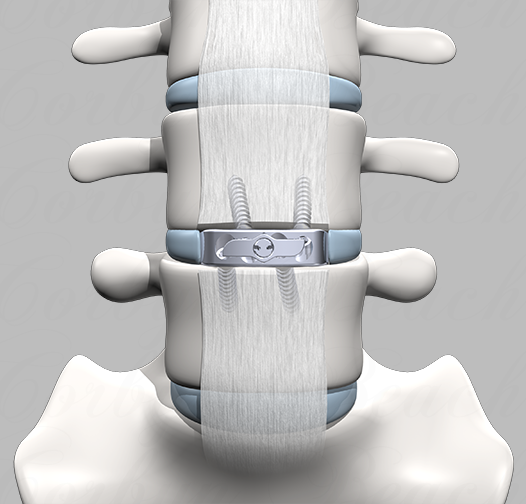 The implant plate is inserted (anterior view). 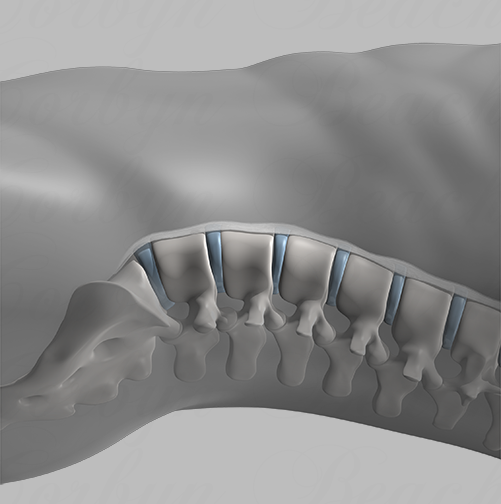 The implant plate is inserted (lateral view). 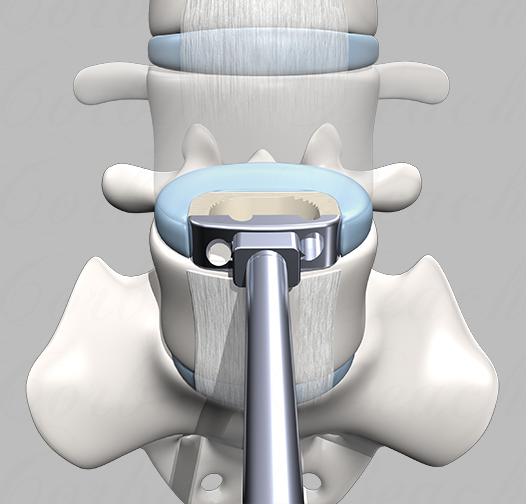 The bone is prepared for screws using an awl (anterior view). The bone is prepared for screws using an awl (lateral view). 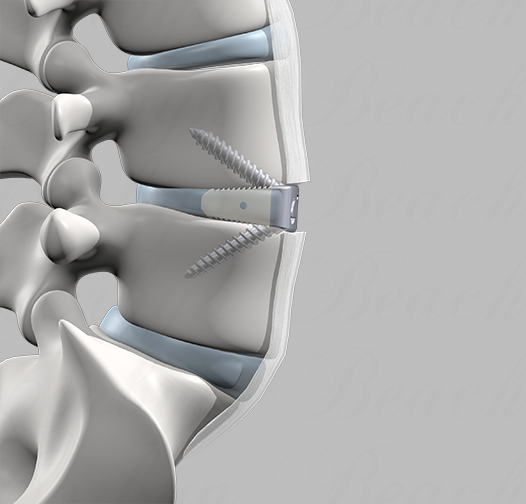 Screws are inserted to affix the implant plate to the vertebral bodies. The cover plate is attached (anterior view). The cover plate is attached (lateral view).